I miss blogging regularly, and so to force myself to get something in here at least once a week I'm starting a series tentatively titled "Weekly Adventures". In this post that I'll share on Fridays, I'll share some highlights from my week, along with things that I'm reading or doing, plus things that are inspiring me along the way. Part of what has stopped me from blogging previously is that I felt like my posts needed to be "about" something specific. This new series will take some of that pressure off, and give me an excuse to write and share more about my adventures. So here we go! I feel like I'm sort of cheating to start this new series this week, since it was a pretty eventful one! Over the weekend I attended canfitpro's World Fitness Expo once again, and got to work out with Shaun T and slip in for a meet and greet. He's always so inspiring and his workout was a doozy. 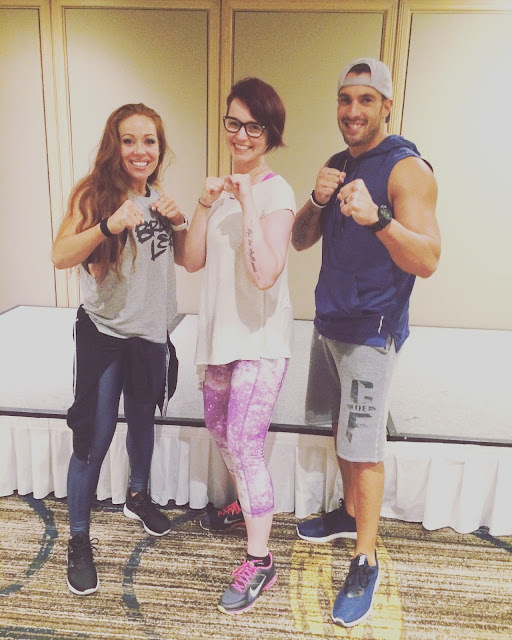 This time I managed to contain my crying for just the workout and enjoyed every moment of the meet & greet. On Sunday, I took a leap outside my comfort zone and completed my certification to become a CORE DE FORCE instructor!! I got to attend the training with Joel and Jericho, and spent the day learning more about the program, the details of the movement, along with how to teach a live class. It pushed me mentally and physically, but I'm excited to keep learning and growing with the goal of teaching my first class before the end of 2017. Between Saturday's intense workout and Sunday's all-day training, on Monday everything hurt. Like, everything. Even muscles and body parts that I didn't know existed!! On Tuesday I got to go to the Coldplay concert at the Skydome and it was phenomenal! They put on an amazing live show - I was honestly so impressed with everything from the set list, to the lighting / video, to the talent of all the musicians and their energy. I got to enjoy the show from a TV box, complete with space for a dance party and our own private washroom. It was a pretty special evening! Thanks to Kelly from So She Glows for featuring me this week as part of her Patchwork Project. 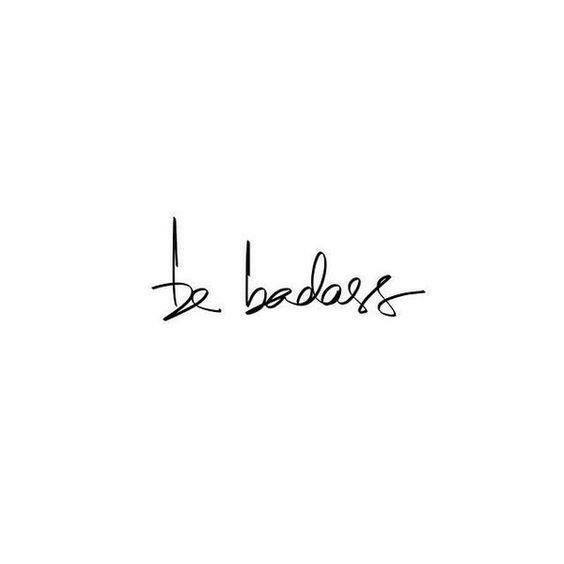 Quote of the week: Be badass. Badassery inspired by my instructor training and the incredible Joel & Jericho. This was the first instalment of my weekly adventures! 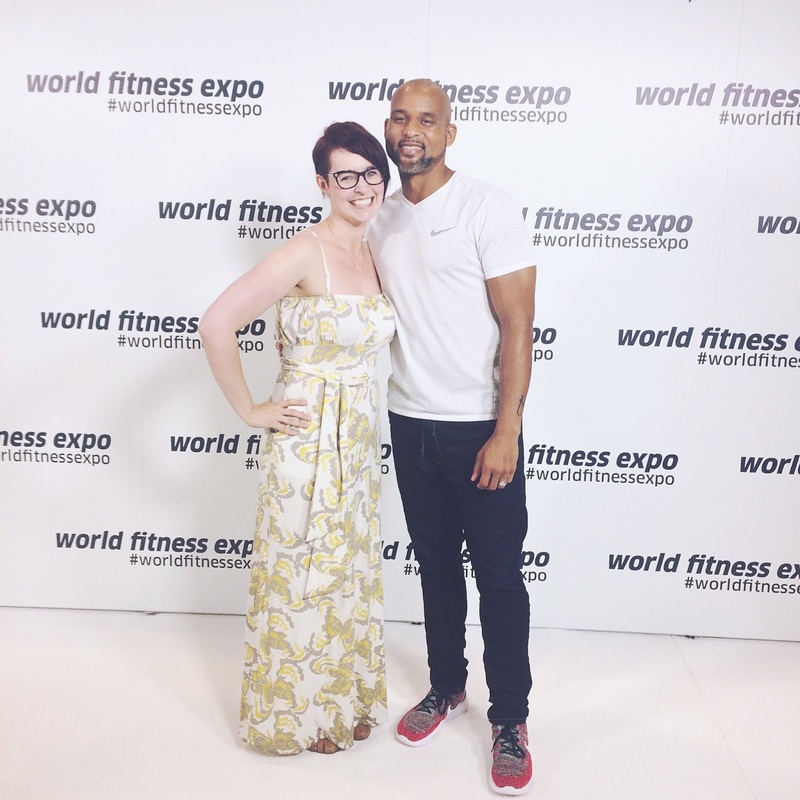 While I've got a bunch of other posts in the works (including lessons learned from therapy and my break-up, my experience doing the ketogenic diet, the workouts I've been loving and more) I'd love to hear if you have anything you'd like me to write about! Message me here or find me on Instagram. Over there you can also follow along with my weekly adventures in real time as I share things in my Instagram Stories!